Shaun Kennedy has been appointed as the new Country President and Managing Director of Securitas UK and will assume responsibility at some point in early 2019. Shaun will take over from current Country President, Brian Riis Nielsen, who having successfully led the transformation of Securitas UK, will move on to a new senior management position in Securitas Group. Shaun is an experienced leader with a proven track record in the security industry. After leaving the British Army in 1997 Shaun joined Chubb Security, where he spent 15 years, until it was acquired by Securitas in 2011. Since 2011, Shaun has held several senior management positions including interim Country President UK and more recently Director of Specialist Protective Services. 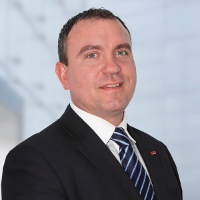 Shaun has also been responsible for the successful implementation of Securitas’ Fire & Safety strategy across Europe. Shaun will commence the transition to his new role from 1 January 2019, working closely with Brian throughout the first half of 2019. During this period Shaun will continue to oversee his existing areas of responsibilities including Fire & Safety. Commenting on his appointment, Shaun Kennedy said “Having spent over 20 years working in the security industry, I feel privileged to be taking over responsibility of the UK business at such an exciting time. Brian Riis Nielsen commented “I am extremely proud of how we have transformed Securitas UK over the past five years. “We can offer real value through our six protective services, and we are leading the industry in our work with the Living Wage Foundation to bring an end to low pay in the sector.